This Ngop Nam Oy Pim Yai (Large Size) Niyom (preferred class) Sugarcane Cake Buddha Yantra amulet was released around 2470 BE, making it about a Century old. 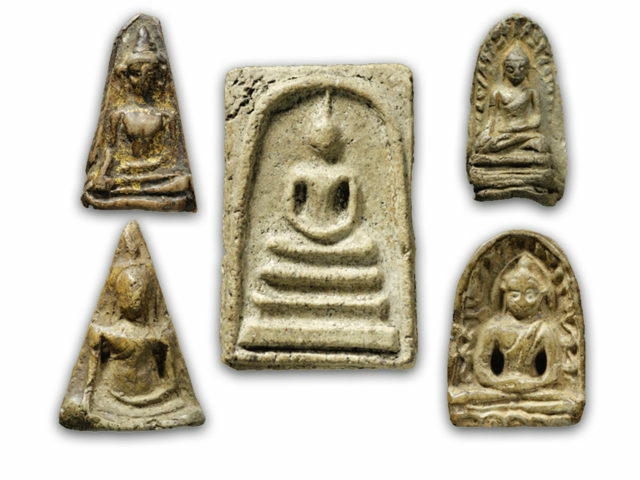 Made from Nuea Din Phao (baked clay), composed of the very same formula as used by Luang Por Parn of Wat Bang Nom Kho for his Famous Amulets. 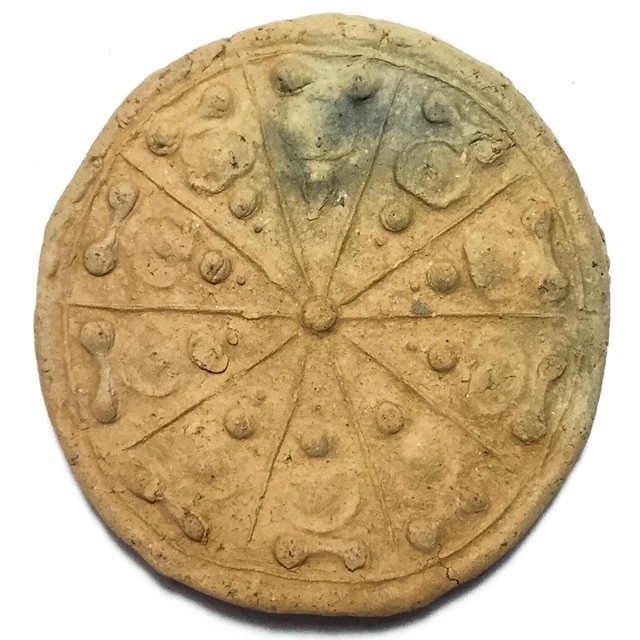 This amulet is a Pim Yai Large size model, measuring a full 3.5 Cm Diameter without casing. The amulet is in pristine condition for an exhibit so close to being a Centenarian, and has especially clear and distinguished features, making it highly eligible and worthy Pra Kroo Niyom Class Amulet. The Yant Ngop Nam Oy amulet is one of the most ancient types of clay Buddhist amulets, and is formed using a ring of Buddhas cascading outwards from a central point in a circle, resembling a Dhamma Wheel. Both sides feature a ring of outward pointing Buddhas, facing in all directions of the Universe, forming a Crystal Wall of Mercy and Protection around You. The Ngop Nam Oy amulet is purely Buddhist and void of Black Magick. In fact, this amulets is a very powerful Anti Black Magick amulet, as well as possessing immense Serm Duang Power to improve the Line of Fate, and Kong Grapan Chadtri / Klaew Klaad Protective Power. Yant Ngop Nam Oi (Sugar came Yantra) is a Buddha Mandala that resembles the traditional Sugar Cane cakes used as units of measurement in olden days (and indeed, still to this day in Thailand). The Yant Ngop Nam Oy was inscribed upon sugar cane cake in olden days, which was then immersed into the family water source, allowing all of those who drank from the source or the well, to experience increased mutual love and affection for each other, and increase Mercy Charm and Popularity for all. This happened through the Powerful Buddhakun Power of this Intrinsically Buddhist sacred Geometry Spell, which emanates Serm Duang, Metta Mahaniyom, Maha Lap and Kong Grapan Chadtri Klaew Klaad Power for Auspicious FortLuang Phu Yim of Wat Jao Jet Nai, was a Master Gaeji Ajarn of Pra Nakorn Sri Ayuttaya of the second World War Era, and the Indo-China War. 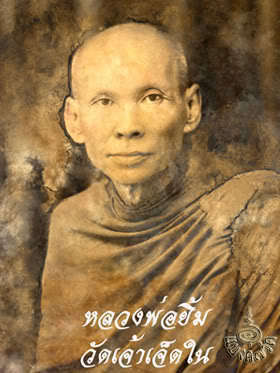 LP Yim was befriended on best friends basis with the Great Master Luang Phu Jong of Wat Na Tang Nork (Ayuttaya), who was slightly older than him by three years. 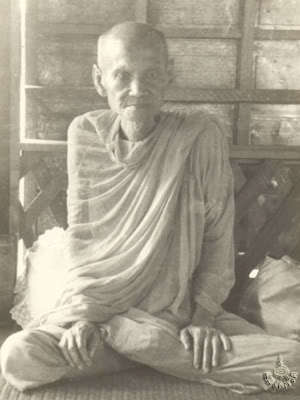 Another intimate friend and colleague in practice was Luang Por Parn of Wat Bang Nom Kho, who was exactly the same age as Luang Phu Yim. All three of these Masters would constantly visit each other at their respective temples, and swop and share the various magical Wicha of Buddha magic they had learned in the time they had not seen each other. It bean to be spoken, that all three of these Monks and their amulets had special power. They were said to be full of Puttakun and Metta Mahaniyom power, and strong with Kong Grapan Chadtri invincibility. When any of these Masters would make amulets, the other two friends would always be present to help perform the Puttapisek Empowerment ceremony at each of the three temples. The rest of course, is History and common knowledge in Thailand. All three of these Masters are of the most revered Masters for amulets in Thai Amulet history, especially Luang Por Parn with his Bang Nom Kho amulets (Pra Putta Jao Pratap Sathw - Buddha image riding on animal figures). Apart from sacredness and certainty of power in this amulet, it is a wonderful example of old style clay 'Gru' amulet and was made at the same time with and in the same manner as Luang Por Parns amulets. The amulet is thus interesting not only for having been blessed by Lp Yim, LP Parn and LP Jong together, but also for students of authenticity of Luang Por Parn Wat bang Nom Kho amulets, who wish to study the Muan Sarn sacred powder and its aging process in order to fine tune their abilities of recognition. This is a popular amulet to rent not only for its Sacred Power and its Immense Raritym and Unusualness, but is also an 'Ongk Kroo' reference class amulet for the purpose of study, because it was made in the same way, from same substance same blessings and same method of Gru as the classic Wat Bang Nom Kho amulets 'Buddha Riding Animals' themself. 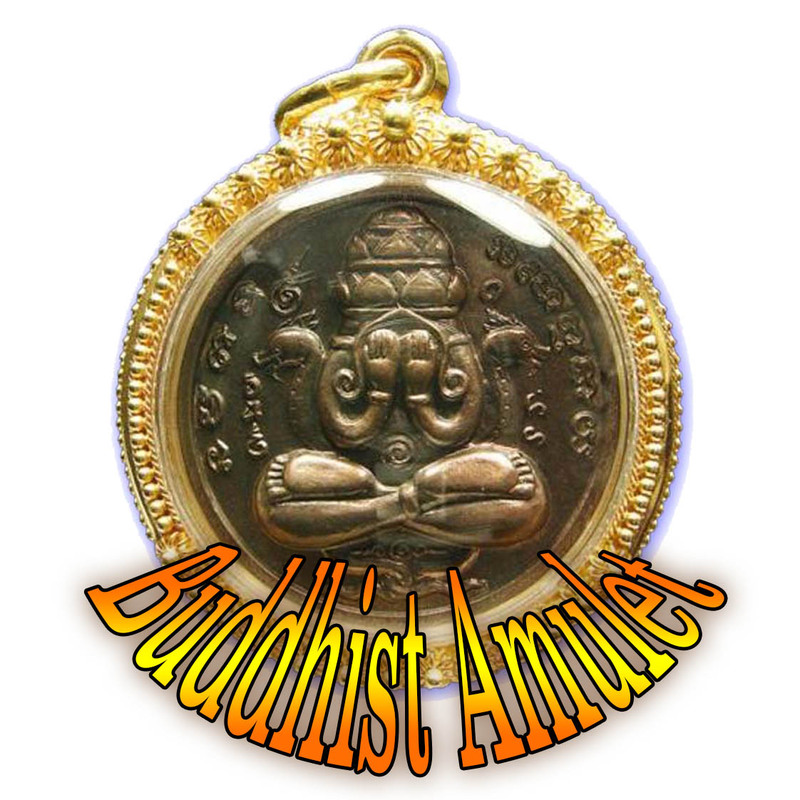 As to sacredness, this Amulet is an Ancient Classic of the early 20th Century, and goes without questioning, and it can be concluded easily that this amulet is a perfect and much cheaper alternative to a Wat Bang Nom Kho amulet from Luang Por Parn.